With Father’s Day rapidly approaching, we have solved your gift dilemmas, by putting together a guide for the perfect drinking destinations for Dads! Our number one recommended region this June is Bordeaux! Our unique Bordeaux and Golf break combines two top loves of so many men – hearty red wines and rambling days on the golf course! 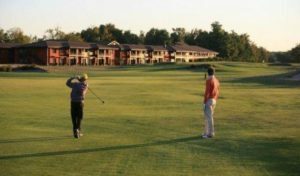 The package is offered as a three or four day break, and is based in the heart of the Médoc, at the 4* Golf du Médoc resort. Highlights include a round of golf on your preferred 18-hole course at the resort, a gastronomic lunch in a local restaurant, and the opportunity to visit an estate in the renowned village of Pauillac to discover the full wine-making process from press to bottle! 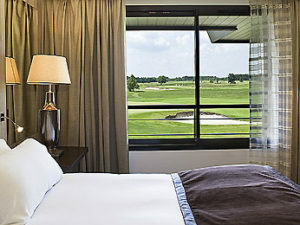 If you feel like REALLY treating Dad, then opt for the four day package, where he can also try his hand on the second course at the resort, as well as visiting a Margaux winery, and enjoying dinner in the hotel’s excellent restaurant! Prices start at just £430 per person. If your Father is of more mature tastes, then perhaps a Port break may take his fancy? 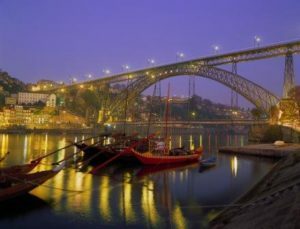 With our four day/three night Essential Porto and Vinho Verde tour, your Dad will be able to discover the fabulous fortified wines in Porto, as well as exploring the spectacular Vinho Verde vineyards and tasting the red and white wines produced here! Based at a choice of 3-5* hotels, the trip gives guests the chance to spend three nights in the historic city of Porto, visiting the renowned Sandeman Port Lodge, and cruising down the river in a traditional Rabelo boat, before heading a Quinta located in the Vinho Verde area, where wine lovers will be welcomed for the night as the guests of a local wine estate to enjoy a tour and tastings, as well as lunch here! The culinary highlight however, will be the gourmet dinner at the fantastic DOP restaurant. The restaurant is headed by celebrated chef Rui Paula and is situated in a beautiful, historical building. Portuguese cuisine is truly delicious and you will sample many of the region’s delicacies on your trip. Your gastronomic Portuguese dinner will be accompanied by Douro white wine, Dão red wine, Port Wine, water and coffee. Prices start from £312 per person. Our third and final suggestion is to treat Dad to a Burgundy break; Essential Dijon has both a three and four day option, and is ideal for a short break, with the region being located just 5 hours’ drive from Calais. 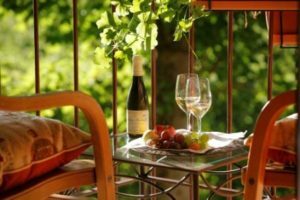 The tour offers a great introduction to the wines of both the Côte de Beaune and Côte de Nuits, and you will enjoy a full day guided and transported tour, visiting a winery in each appellation. Package prices start at £374 per person. One thing’s for sure, no matter which Grape Escapes tour you choose to give this Father’s Day, you’ll certainly be winning in the gift stakes!